Exocad is a specific CAD for dental applications easy-to-use, currently the most complete and advanced cad/cam software. 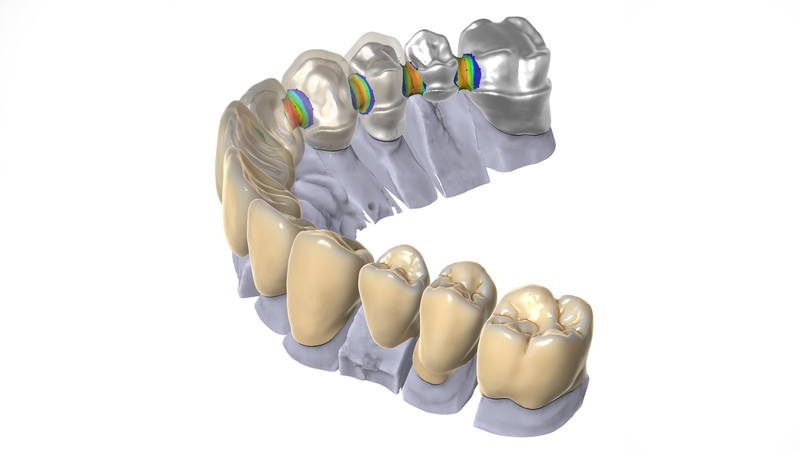 The complete software solution for the digital dentistry. Its basic version already covers a wide range of prosthetic applications, from a simple single coping to a complete 14 anatomical or reduced elements’ arch, being an optimal choice for both dental CAD expert users and new ones. Modeling inlays or veneers is also extremely easy and fast. Concerning then the modeling of implants, Exocad represents today the most powerful tool. From the single customized abutment to the bar, everything is extremely fast, efficient and intuitive. Exocad represents by now the most common dental modeling software in the entire world.